Recently, we made an amazing discovery in the Hungryland test kitchen: Adding light cream cheese to oatmeal makes it extra rich and creamy! For this recipe, we took inspiration from gooey cinnamon buns, and the results are just as delicious as you might imagine. P.S. 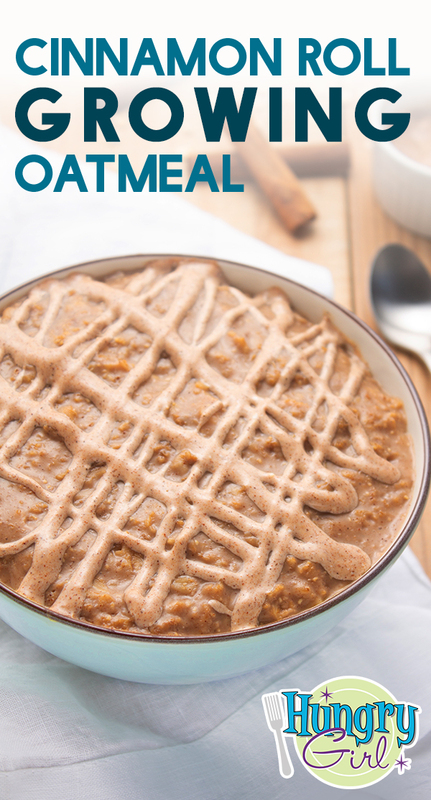 “Growing” oatmeal is what happens when you cook oats with double the liquid as standard oatmeal and simmer them for twice as long… You get a GINORMOUS serving! In a nonstick pot, combine milk, oats, extract, cinnamon, and salt. Stir in 1 cup water, and bring to a boil. Reduce to a simmer. Cook and stir until thick and creamy, 12 - 15 minutes. Transfer to a medium bowl, and stir in sweetener and cream cheese. Let cool until thickened, 5 - 10 minutes. Meanwhile, in a medium bowl, combine topping ingredients. Whisk until mostly smooth and uniform. Once cooled, drizzle oats with topping. Pepper jelly is HOT right now (no pun intended), and it doesn’t get any better than Lisa’s latest obsession: the unique & yummy creations from our friend Mrs. G! Made with fresh, natural ingredients, these super-special condiments deliver the perfect blend of sweet heat. 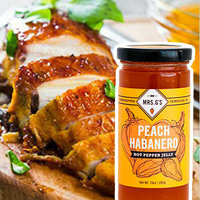 In flavors like Peach Habanero (Lisa’s absolute favorite!) and Jalapeño Garlic Lime, they’re fantastic mixed into sauces & marinades, spread onto crackers, served over lean protein… You name it! Each tablespoon has 45 - 50 calories, and a little goes a seriously long way. The Amazon’s Choice 3-pack sampler is an ideal edible gift for the foodies in your life. HG tip: Get a pack for yourself too! THIS IS A MUST-TRY, PEOPLE! 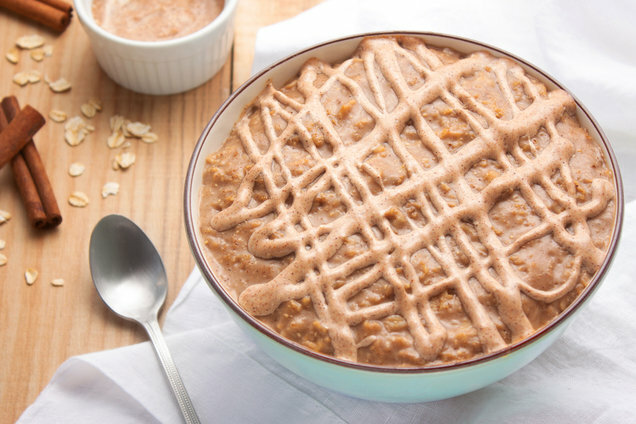 Hungry for More Growing Oatmeal Recipes? FYI: As an Amazon Associate, we may receive compensation from some of these links. Prices and availability are accurate at time of publication. Oh good, it's National Microwave Oven Day, December 6th… Time for some of our favorite recipes in a mug! Your buddies could use a good breakfast -- click "Send to a Friend" now!